One of the big, after the credits reveals from the recent Guardians of the Galaxy Vol. 2 film was the coming of one Adam Warlock. For fans in the know, this was exciting news indeed. 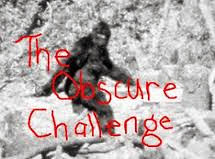 As for me, I was more curious. I immediately had to educate myself on this character. I'll say that James Gunn is definitely the right person to bring Adam Warlock to the big screen. This character is weird and as Guardians of the Galaxy shows, Gunn knows how to sell weird. Adam is an artificially created humanoid with a gamut of superpowers (strength, ability to breathe in space, speed, flight, and more). To top it off, he also has a soul gem which can steal the "souls" of his enemies. More accurately, it seems to take their minds; their memories and so forth become readable to Adam. It seems that these ultimate powers are a lot to handle and Warlock often goes completely mad. While this is all obviously fascinating, he is nonetheless not an easy character to care for. Always in an existential crisis, his seriousness grows wearying. Hopefully Gunn will be able to infuse him with that wonderful GotG humour to take the edge off. 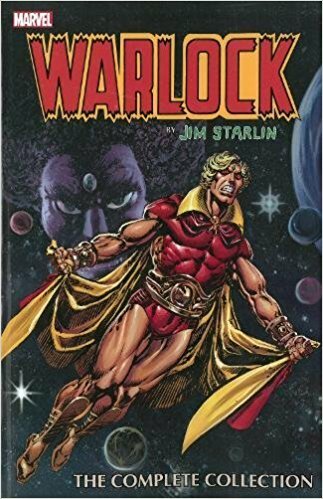 As for the comics, despite not connecting well with Adam Warlock himself, the sheer strangeness of the plots and wonderful 70s space-psychedelic visuals by Alan Weiss, Al Milgrim, and Steve Leialoha kept me enthralled. I can't say for sure that there's anything really intelligent about it all (hard to find parables here to connect to real life), but it's certainly unique.